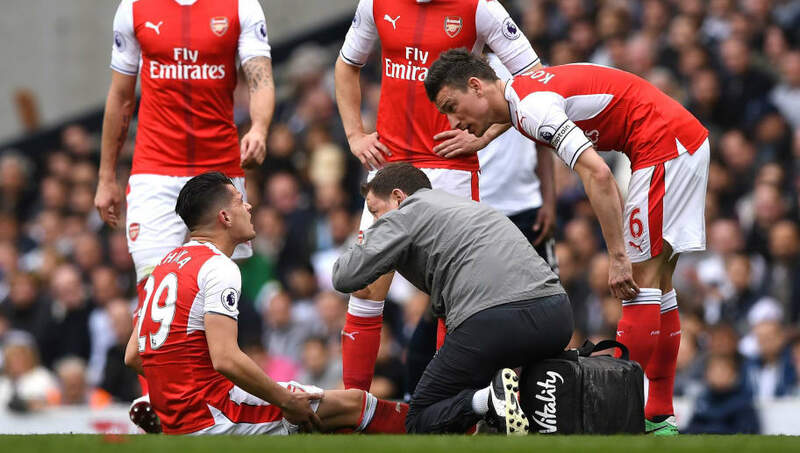 ​Arsenal manager Unai Emery has provided an injury update on Laurent Koscielny and Granit Xhaka ahead of the club's Europa League quarter-final first leg against Napoli on Thursday. The ​Gunners head into the game on the back of a disappointing loss to Everton in the Premier League on Sunday, in which Sokratis Papastathopoulos picked up his 10th yellow card of the season to earn himself a two game domestic ban. Unfortunately, at this juncture, Emery could offer no guarantees as to whether this could happen for the ​Napoli game, admitting to the club's ​official website after the Everton defeat: "I don’t know. Maybe Laurent could’ve come back to play today but yesterday we knew it wasn’t possible. I want to be positive for Thursday but it depends how he’s progressing." Aaron Ramsey was consigned to the bench for the first half against the ​Toffees with a slight concern, but came on for the second half and suffered no further issues.